An Aged Corporation, also known as a Shelf Company or Shelf Corporation, is a company or corporation that has had no activity – metaphorically it was put on the ‘shelf’ to ‘age’. An aged corporation is a ready-made corporation, which has no liabilities and can be used for commerce at any time. Taylor Perez can secure your corp and assist you in building out your D & B to a 80 paydex. We are with you every step of the way making sure it is done right so you can get the maximum benefit from your corporation. Why use an Aged Corporation? You want to consider whether an aged corporation is appropriate for your business situation. When dealing with certain contracts, establishing corporate credit, acquiring a loan or even just entering a lease, it is often desirable or necessary to have a company history and an established existence. What are some advantages to using an Aged Corporation? Some aged corporations have established bank accounts. Entities with this amount of detail are worth the cost if you have an investment you are trying to fund through a business entity rather than taking on the risk personally. Using an aged corporation enables you to immediately establish a history and obtain a running start on the corporate image. It is easier to obtain lines of credit or a loan with an aged corporation as well. Why buy an Aged Corporation? To gain the opportunity to bid on contracts you must be in business for a certain length of time. To create an appearance of corporate longevity in order to attract consumers or investors. Top Benefits to an Aged Corporation? Business History – You get a company with a clean history. An Aged Corporation is free from debts, liabilities, taxes and obligations. 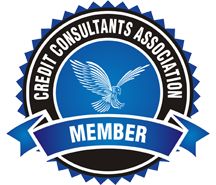 Creditworthiness – Most lenders do not consider credit applications from businesses that are less than 2-4 years old. Creditability – A company with a history will have more credibility with lenders, suppliers and business partners. Time Saver – When you buy aged corporations, you skip the time and effort involved in registering a new business entity. Corporate Image – Clients trust a company that has been in business for a number of years. Contracts – Clients, investors, lenders, and suppliers will often require your business to be a certain age before they will consider doing business with your company. Do I need a C-Corporation or an S-Corporation for my Aged Corporation? Aged corporations will always come as C-Corporations, but you may elect S-Corporation status by filing IRS Form 2553. The answer can very person to person, note it depends on how you want to be taxed by the IRS. NO Personal Income Tax: Alaska, Florida, Nevada, South Dakota, Texas, Washington, and Wyoming. NO Corporate Income Tax: Nevada, South Dakota, Texas, Washington, and Wyoming. Can I change the name of my Aged Corporation? While you are free to change the name of your Aged Corporation, we advise against it, because a name change goes against the concept of an Aged Corporation. The best advice we can give you is to simply file a DBA/Fictitious Business Name Certificate for the Brand Name you would like to use for your Business. Do I need to apply for a new EIN for an Aged Corporation? The Employer Identification Number, also known as a Federal Tax Identification Number, is usually set up already with Aged Corporations. An EIN is a way to identify a business entity, just like a Social Security Number identifies an individual. There is no need to apply for a new one because that EIN history stays with the company and follows it to your hands. What else comes with my Aged Corporation? We will provide all necessary corporate resolutions and minutes to document the transfer of ownership, as well as furnish the corporate kit and all archived documents related to the company. Additionally, we will include a free year of registered agent service. As part of an aged shelf corporation purchase, we can at your option also draft and file any name change amendment or annual statement at no additional cost (State filing fees may apply).